Happy Friday! So, if you follow me on Instagram and watch my Instastories, you may have seen that I answered the “5 Facts About You” challenge and one of mine was that I love to read, and have always been a sort of fast reader. (Check out that story before it expires!!) But, for today’s blog post, I wanted to share some of the books on my reading list! I’ve been a little behind on my reading lately… I actually still have some books on my LAST reading list to tackle… but I’ve replenished the list with some new to-reads that I’m excited about and wanted to share. Plus, an update on some of the books from my to-read list that I HAVE read, and what I thought. I feel like my list is kind of all over the place… some thriller, some chick lit, some YA… #typical lol! In Uninvited, Lysa shares her own deeply personal experiences of rejection–from the perceived judgment of the perfectly toned woman one elliptical over to the incredibly painful childhood abandonment by her father. She leans in to honestly examine the roots of rejection, as well as rejection’s ability to poison relationships from the inside out, including our relationship with God. 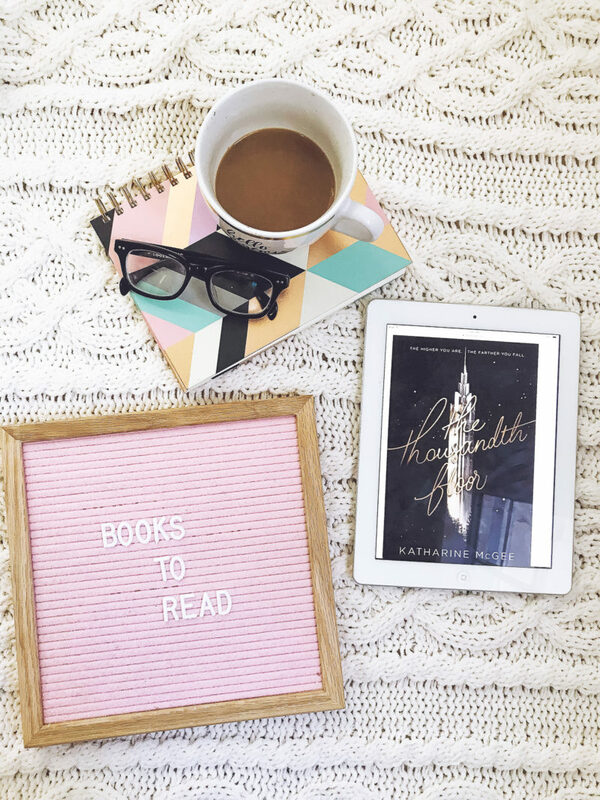 Uninvited reminds us we are destined for a love that can never be diminished, tarnished, shaken, or taken–a love that does not reject or uninvite. A #1 New York Times bestseller, EVERYONE has been talking about Uninvited the last couple of years. My sister and mom both studied the book in their small groups and loved it! I’ve also seen a few other blogger babes recently raving about the book on their Instagram accounts and blogs. I’ve had the book but haven’t read it yet, so this month, I’m putting it at the very top of my reading list. I’m excited to check it out! I love Lysa TerKeurst! If you are looking for a daily devotional app, her Proverbs 31 Ministris app, First 5, is one of my favorites! If you’re going to be reading this, let me know, I’d love to chat about it with you. So, Everything, Everything recently came out as a movie starring Amandla Stenberg from The Hunger Games. I didn’t see it, but I’ve heard good things about it as a book, so figured it might be worth checking out. I’m all for YA. Actually, what made me want to read was a spoiler alert that someone posted on Twitter that hinted that there was an unexpected twist. If there’s a twist, you can sign me up! His scandal. Her secret. When Angela met Jason Powell while catering a dinner party in East Hampton, she assumed their romance would be a short-lived fling, like so many relationships between locals and summer visitors. To her surprise, Jason, a brilliant economics professor at NYU, had other plans, and they married the following summer. For Angela, the marriage turned out to be a chance to reboot her life. She and her son were finally able to move out of her mother’s home to Manhattan, where no one knew about her tragic past. I really liked Alafair Burke’s book The Ex, so I think this book sounds really good too. Psychological thrillers are some of my favorite books! This definitely sounds like an interesting read… I feel like lately there are a lot of “do you really know your husband” books out there which is kind of funny lol. I guess that’s the new trend? This book is definitely on my list. Disappearances, murders, mysteries… I love books about these things!! Pretty Girls Dancing was one of the best selling books in December, so I’m pretty psyched to pick it up and give it a read. I’m not, like, a John Green fanatic, but I did like The Fault in our Stars, Paper Towns and Looking for Alaska, Kind of depressing, but definitely a pop culture must-read. Very zeitgeist-y. I thought his latest offering sounded interesting and, dare I say, NOT depressing? I guess I’ll find out! I spotted this book in my friend Ashley’s Goodreads ‘To Read’ list and was thoroughly intrigued. Reading through the description, I bet Monique is, like, her secret daughter she gave up for adoption or something lol! Sounds interesting and glam, so I’ll be giving it a read! I’ve always been a Sophie Kinsella fan, (Hello, Shopaholic series!) so this is basically added to my to-read list by default. This sounds a little different than her usual fare, but I was intrigued by it. Also, mysteries and secrets lol. This isn’t out until February 2018, so I’ll be picking it up when it hits Amazon! I did want to add a recommendation for a book I read recently that I LOVED…well, really it’s 2 books since it’s a series, but I just finished the second book, so wanted to recommend them both! New York City as you’ve never seen it before. A thousand-story tower stretching into the sky. A glittering vision of the future, where anything is possible—if you want it enough. Welcome to Manhattan, 2118.A hundred years in the future, New York is a city of innovation and dreams. But people never change: everyone here wants something…and everyone has something to lose. 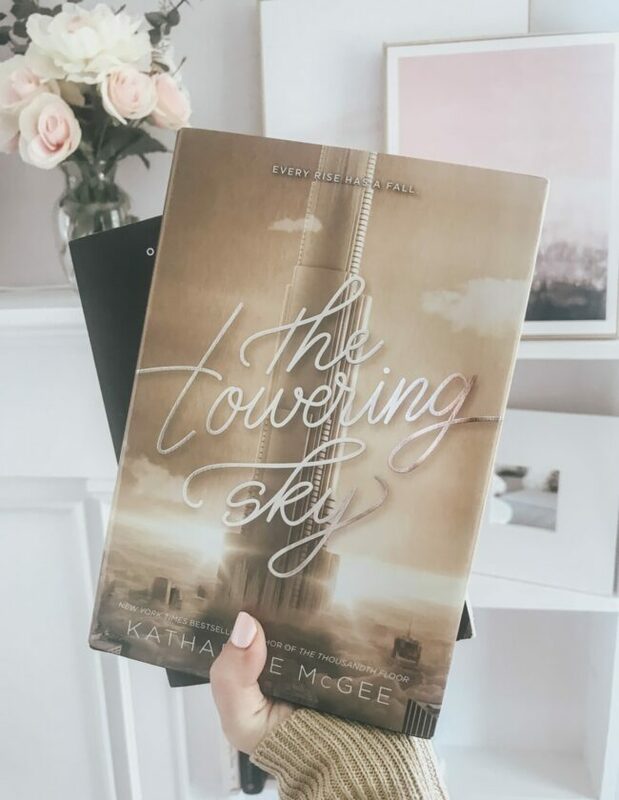 Perfect for fans of “One of Us Is Lying” and “Big Little Lies”, debut author Katharine McGee has created a breathtakingly original series filled with high-tech luxury and futuristic glamour, where the impossible feels just within reach. But in this world, the higher you go, the farther there is to fall…. So, The Dazzling Heights is the follow up book to The Thousandth Floor, which I’ve mentioned in the past. (The description above is for The Thousandth Floor, because you have to read it first and I don’t want to spoil the end by including the description of The Dazzling Heights!) Basically, it’s Gossip Girl meets Big Little Lies, set in a super high tech future, with a murder mystery twist. Both The Thousandth Floor and The Dazzling Heights open with deaths… but you’re not told who died, why, and if it was an accident, suicide, or a murder. The whole book, you’re trying to figure out who dies at the end and how they died. SO GOOD. It’s acually being developed into a series by the team who produced Gossip Girl for the CW, so… read it now. TRUST. The second book is so, so good. Read them both. So, that’s my reading list! I’d love to hear what you’re reading, what you’ve read that you recommend, and if any of these books strike your interest! Let me know in the comments! Hope you have a great weekend!